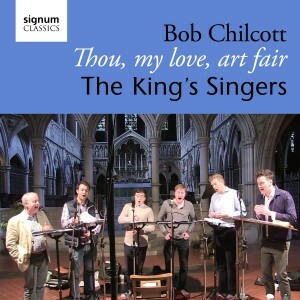 Due to popular demand, this live recording of Bob Chilcott’s Thou, My Love, Art Fair has been released as a digital single. The piece was commissioned by the Minnesota Commissioning Club to honour Jerry and Cathie Fischer, firm friends and supporters of The King’s Singers, for a concert in aid of the Park Nicollet Frauenshuh Cancer Centre earlier this year. The recording is dedicated to Jerry and Cathie Fischer and to Bob on the occasion of his sixtieth birthday. The single was recorded live at St Augstine’s, Kilburn, London in early 2015.